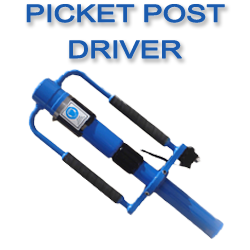 The Air Driven Picket Post Driver - fixing fences faster and easier. Powered by a Honda 4-cycle engine, the Rhino® Ranch-Pro™ Gas Powered Driver is powerful and can drive posts in seconds. It is easy to transport and operate. Weighing only 35 pounds when fully fueled, a single person can quickly handle post driving tasks. Rhino has ergonomically designed the handles for weight distribution and incorporated internal vibration dampening for the operator’s comfort. Rhino® Ranch-Pro™ components are engineered to the highest quality and for durability. The Ranch-Pro™ is the perfect tool for agriculture, livestock containment, electrical utility, and more. 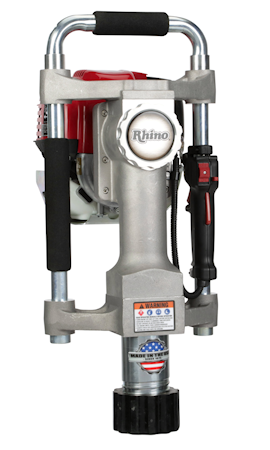 The RHINO® Fence-Pro™ is engineered to deliver more power to drive larger posts, The design includes a 2-1/2' chuck equipped with RHINO® Chuck-Lok™ Adapter Technology. 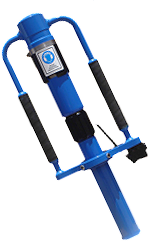 This innovative post adapter system increases driving efficiency by aligning post to optimum striking position, prolongs tool life, and provides flexibility to quickly adapt to different post sizes in the field. The Fence-Pro™ comes with 2' adapter. 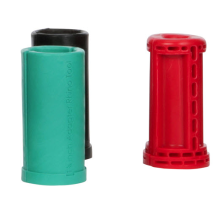 Optional 1-3/4' and 1' adapters are available. 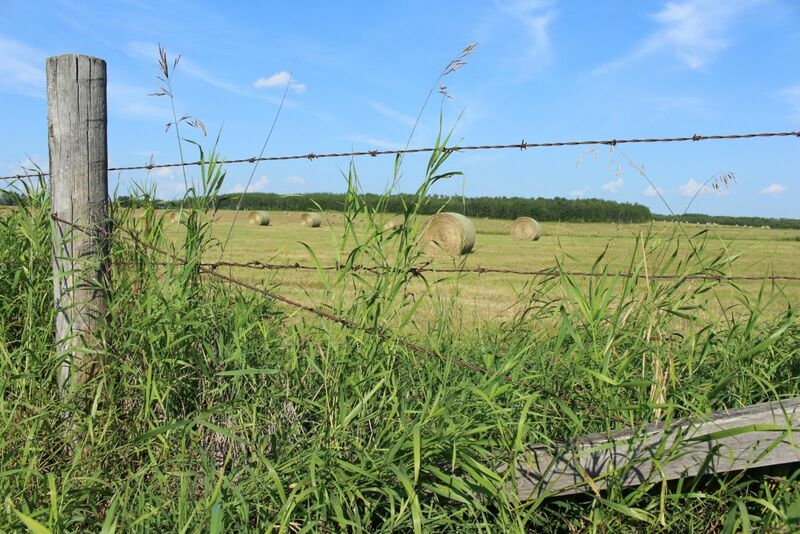 The Fence-Pro™ is the perfect tool for post driving tasks across several industries such as erosion control, agricultural, livestock, professional fence contractors, sign installation, rental tent installation and many more. 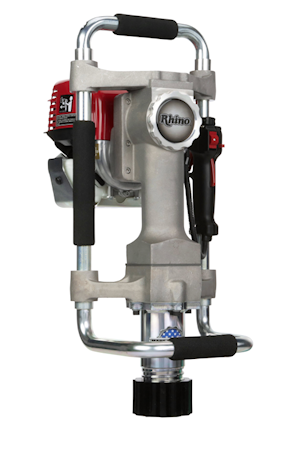 The Rhino® Multi-Pro™, it is powered by a Honda 4-cycle engine, but the Multi-Pro™ has been engineered with increased driving dynamics needed to drive larger posts and versatility to take on more post driving applications. 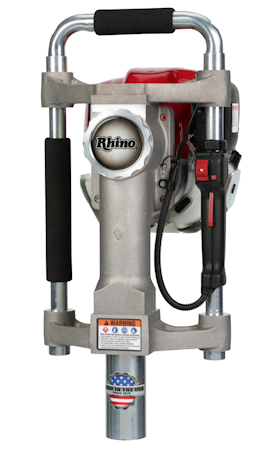 The design includes ergonomically balanced cushioned grip handles, Rhino® CIS™ anti-vibration dampening, Rhino Tension Grip™ crankcase cover for fast inspection and maintenance, and the Rhino® Chuck-Lok™ Adapter System that allows the operator to quickly install post adapters in the field, ranging in application from 1' to 2-3/8' round posts. The Multi-Pro™ versatile external chuck design can be configured for driving 1.2-4 lb channel post, tent stake, or 1-3/4' to 2-1/2' square sign post and square post sign anchor with a drive cap.